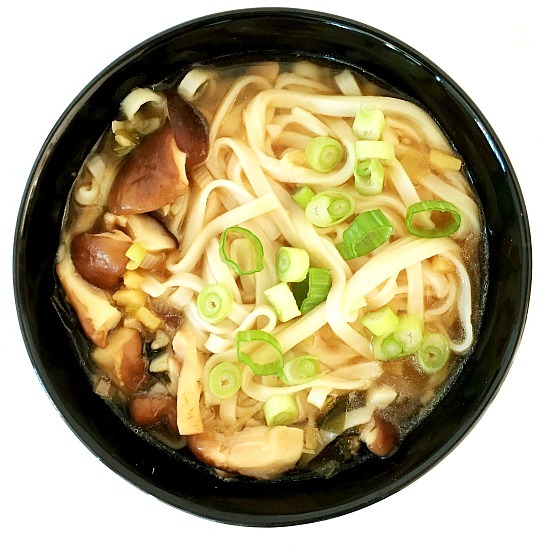 Japanese Miso Udon Noodle Soup with shiitake mushrooms, a simple recipe packed with amazing flavours. And you have your meal ready in less than 15 minutes; it can’t get any better than that. 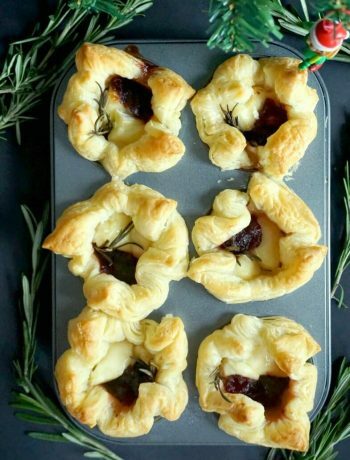 A vegan-friendly recipe. 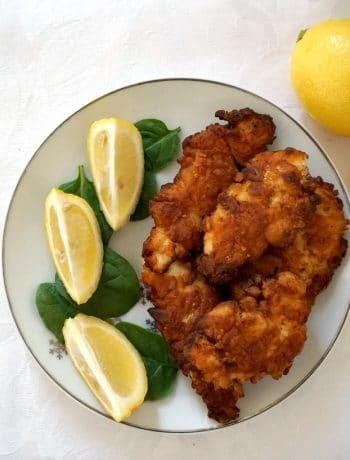 I could never stick to one particular cuisine, and on my blog you can find recipes from all over the world. l’m always open to new ideas when it comes to cooking, and always willing to try different dishes. I know some people find it difficult to try new food they are not used to, and even when they go on holiday abroad. These people will only go the restaurants where their traditional food is served. I guess it’s personal choice, and there is no right and wrong here. My theory is, as long as the food is front of me smells and looks alright, l can give it a go, why not. There is only a certain foods I could never ever try, and that is either too gross, or just too weird for my taste buds. Although that changes sometimes. I was only literally disgusted by the look of prawns/shrimps, and I just love them now. I guess one’s taste does change. The miso udon noodle soup has become one of my favourite now, not just because it is so delicious, but also because it’s perfect for those days when you need to come up with a quick dish without compromising on taste. 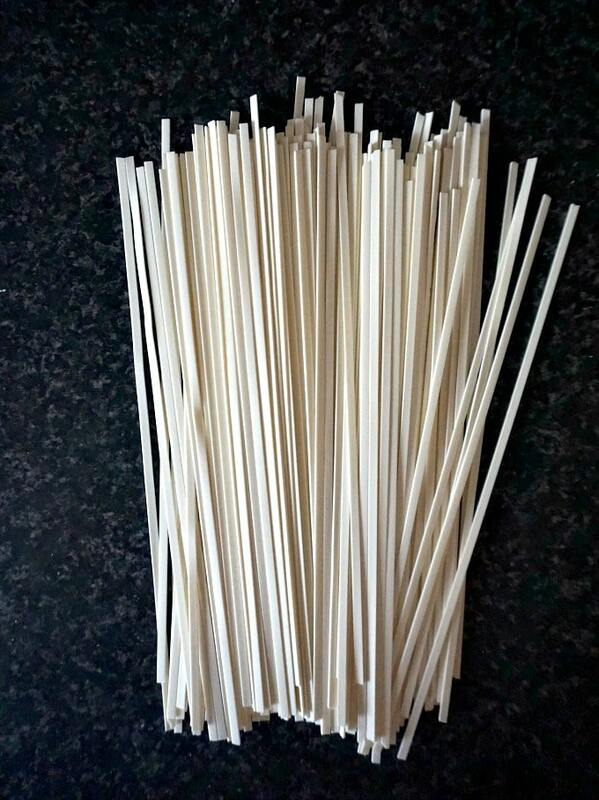 I love noodles of any kind, and l find udon noodles to be a lot less heavier than egg noodles, for example. When you finish your meal, you don’t feel so full that you are about to burst. So one extra point here. And you know what’s another great thing about them? They are ready in just 5 minutes, about the time it takes to make a packet of instant noodles that are full of rubbish. And then, everybody talks about how healthy miso soup is. I absolutely love it, and buying the red miso soup paste shouldn’t be too difficult, I think all bigger supermarkets would have it in the International aisle. These are the dried udon noodles, the fresh ones are a lot thicker, and probably more popular. I like both versions though. Most recipes would call for dried shiitake mushrooms, which again should be found in the International aisle of any supermarket, or local Asian stores. But if you happen to find fresh ones, do go for it. 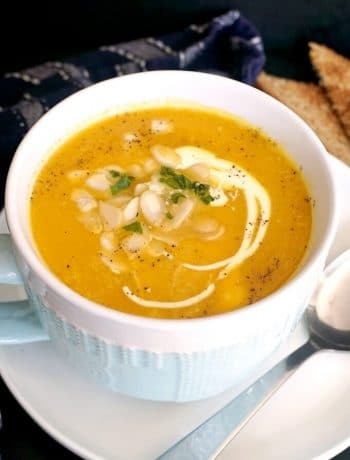 They have a delicate texture and flavour, and really make this soup flavourful and delicious. But if you really can’t find them, feel free to use any other type of mushrooms. The dried shiitake mushrooms must be soaked in advance, so be mindful of that. How do you make miso udon base (broth)? The miso broth is super easy to make, and can be a base for many Asian style soups. First, start by chopping the white part of the spring onions, the green part will be reserved for garnishing. Peel and chop the garlic and ginger too, then slice the mushrooms. Heat up the oil in a pan, add the onion, garlic and ginger, and sautee for about 20-30 seconds until fragrant. Add the mushrooms and water, and leave to cook until the mushrooms are tender. Now, you can add the miso paste, and stir well. And that’s the lovely broth. If you want it extra tasty, add some soy sauce, or fish sauce to it. Add the cooked udon noodles, garlish with the remaining green onions, and that’s your soup ready. What else can you add to the miso udon noodle soup? You can add any vegetables to it, bamboo shoots, carrots, cabbage, or tofu, salmon, or any other smoked meat. Seafood is another great option, just make sure to cook them for about 5 minutes before adding the noodles. It might not be a pure authentic Japanese recipe, but it’s so super yummy, you have to give it a go. Looking for more noodle recipes? What about my Home-made chicken noodle soup? It is soothing, delicious and so healthy too. Hard to choose between the too, really! If you’ve tried this JAPANESE MISO UDON NOODLE SOUP or any other recipe on the blog then don’t forget to rate the recipe and let me know how you got on in the comments below, I love hearing from you! You can also FOLLOW ME on FACEBOOK, and PINTEREST to see more delicious food and what I’m getting up to. 15-Minute Japanese Miso Udon Noodle Soup, a vegan soup that is ready in well under 15 minutes. Delicious and flavourful, this soup gives comfort food a new meaning. Peel and chop the onion and ginger finely, then chop the white end of the spring onion. Heat up the oil in a pan, add the garlic, onion and ginger and stir for 10-15 seconds. 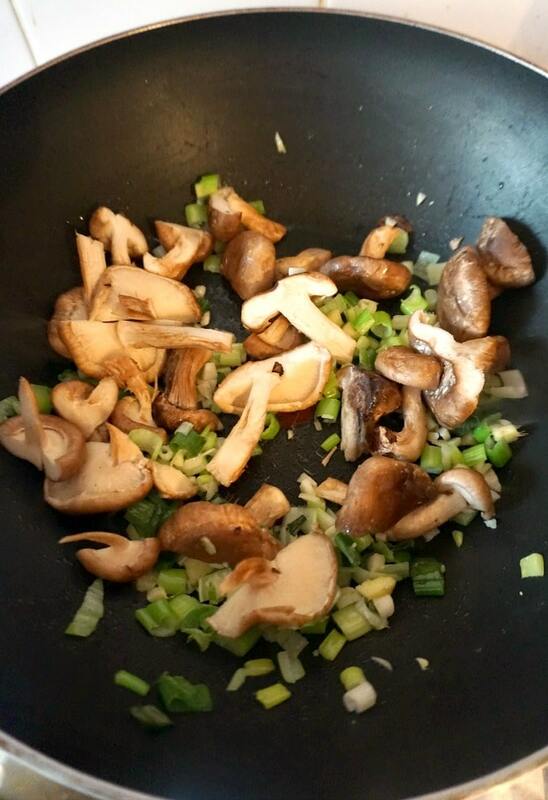 Slice up the mushrooms and add them to the pan. Stir for a further 10 seconds, add water and leave to boil for 5-10 minutes until the mushrooms are tender. Meantime, cook the noodle according to the package instructions, udon noodles usually need about 5 minutes to be ready. Drain the water and transfer the noodles to a bowl. When the mushrooms are ready, mix in the miso paste and remove the pan from the heat. Add the soup to the bowl and garnish with the remaining spring onion. I have never before seen flat dried udon noodles…? The udon noodles I know are thick, round fresh noodles that are quite filling. Are you sure the noodles pictured in your recipe are udon? If so, could you please tell me the brand name so I can source them for myself? Thanks kindly. Hi! Thank you for your comment. I guess it depends where you buy them from. 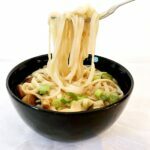 I live in the UK and the noodles l bought from this recipe are from a supermarket called Tesco, it’s own brand. They are dry and come in a packet, although they do have the thicker version you mention. So perhaps there are different types of udon noodles? I bought mine from a Chinese grocery. First time making this so I hope all goes well. I hope you’ll like the recipe, it’s my favourite.